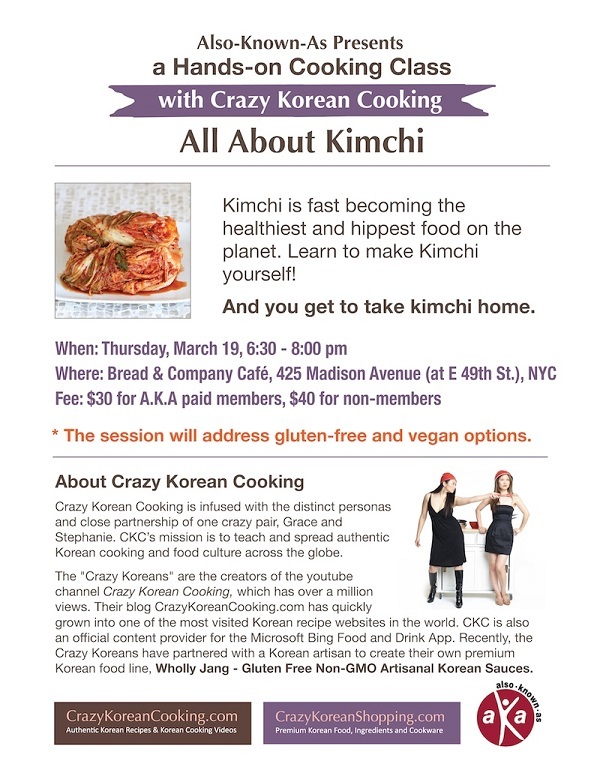 Kimchi Workshop in NYC on March 19: Sign up now! Kimchi is fast becoming the healthiest and hippest food on the planet. Learn to make kimchi yourself! And you get to take kimchi home. * The session will address gluten-free and vegan options.